Our pick-your-own strawberry farm is perfected throughout the seasons to ensure that you and your family have the finest selection in berries. The strawberry season is short but tasty and usually runs from early June to July 4. We have provided strawberries to the South Windsor Strawberry Festival since it began around 30 years ago. 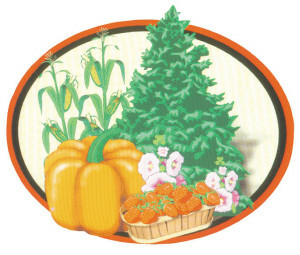 This family farm grows some of the best strawberries, blueberries, pumpkins and Christmas trees in the state of Connecticut!!!! In a large bowl, toss together the spinach and strawberries. In a medium bowl, whisk together the oil, vinegar, sugar, paprika, sesame seeds, and poppy seeds. Pour over the spinach and strawberries, and toss to coat. Slice the strawberries and toss them with 1/2 cup of white sugar. Set aside. Preheat oven to 425 degrees F (220 degrees C). Grease and flour one 8 inch round cake pan. In a medium bowl combine the flour, baking powder, 2 tablespoons white sugar and the salt. With a pastry blender cut in the shortening until the mixture resembles coarse crumbs. Make a well in the center and add the beaten egg and milk. Stir until just combined. Spread the batter into the prepared pan. Bake at 425 degrees F (220 degrees C) for 15 to 20 minutes or until golden brown. Let cool partially in pan on wire rack. Slice partially cooled cake in half, making two layers. Place half of the strawberries on one layer and top with the other layer. Top with remaining strawberries and cover with the whipped cream. Pour wine in the pitcher and add sliced strawberries. Next add sugar, strawberry lemonade and stir gently. Add ginger ale and ice just before serving.